If you are keeping tropical fishes, then having an aquarium heater is crucial. This is because tropical fishes thrive in water temperatures that range between 71 to 86 degrees Fahrenheit or 22 to 30 degrees Celsius. Even fresh water tanks need this feature. Today, we are featuring a buying guide and several reviews to help you find the best aquarium heater for you and your tank. After all, this equipment is an essential to keep your fresh water or tropical fishes happy and healthy. Keeping a fish tank is can be very challenging if you are not aware of the basics. Equipment such as the filter, air pump, and most especially the heater, is crucial among freshwater and tropical fishes. Different from how warm blooded animals and humans produce their body heat, fishes do not build theirs. Some types of fishes heavily rely on the temperature of the water they thrive in. This is the reason it is crucial to take note if your fish tank is going to be for non-tropical fish species or not. The first thing that you have to consider is the type of heater. What type of heater works best with your fish tank? For starters, there are four basic types of heaters: the immersible, submersible, filter and substrate aquarium heaters. Submersible heaters are the cheapest among these types. 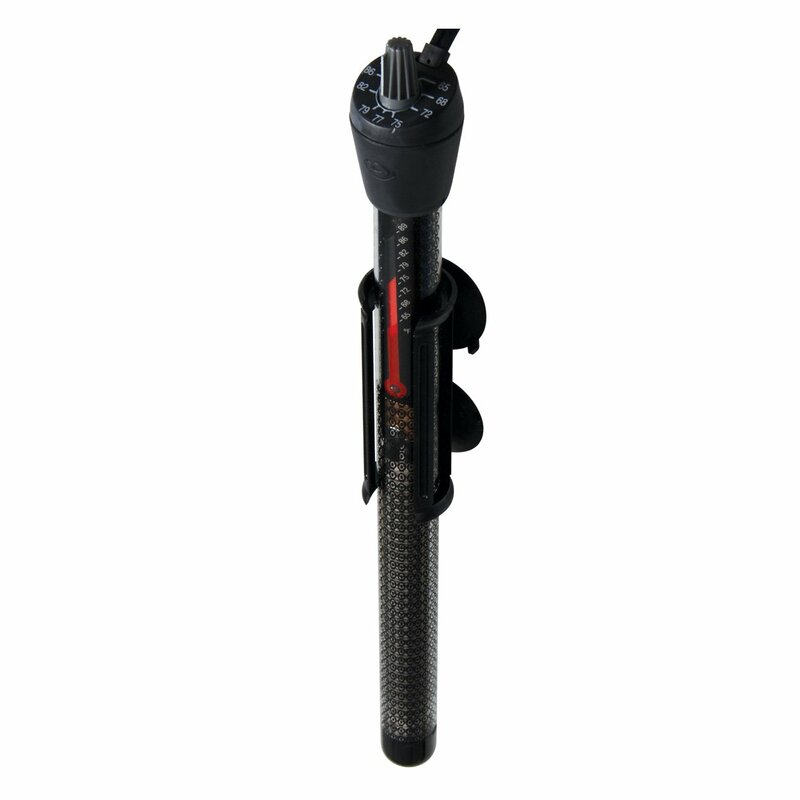 Submersible heaters control the temperature of the water through direct contact. However, installation can be quite a challenge because the heating control pad must be kept above the water line. Substrate heaters, on the other hand, are installed below the aquarium’s substrate. Because of this, it allows the water to be heated more evenly compared to other heater types. This heater type is also ideal if you are growing plants inside the tank. But then again, the installation might also be a bit of a challenge. The filter type aquarium heater is one of the latest types to get to the market. Based on the name itself, filter type heaters are placed inside the filter itself. Thus, heating up the water that passes through the filter. This type is ideal for larger tanks that require more water. It is also good for people who do not want any additional bulky equipment at all obstructing the tank. This type is very popular because it is cheaper than most other forms and is usually easy to set up. However, it can be pretty fragile. When attacked by larger fishes, it has the tendency to break. Finally, is the heater durable enough to withstand the movements of your fishes? Can it last you a long time without too much maintenance costs? Does it have additional features as well? There are aquarium heaters that come with temperature controllers or thermometers to help you keep track of the tank’s temperature from time to time. Durability is also important not only to save you money but also to your fishes. If the cold weather comes and the tank’s water temperature suddenly drops, you can’t have your heater breaking down on you. Water temperature inconsistencies can cause your fishes unnecessary stress or even illnesses. Or worst, even death. Sadly, water heaters are bound to break down in time. Aside from causing harm to your fish, you might even get electrocuted due to faulty heaters. So make sure to take the time to check on the materials used on a water heater as well as its safety features. 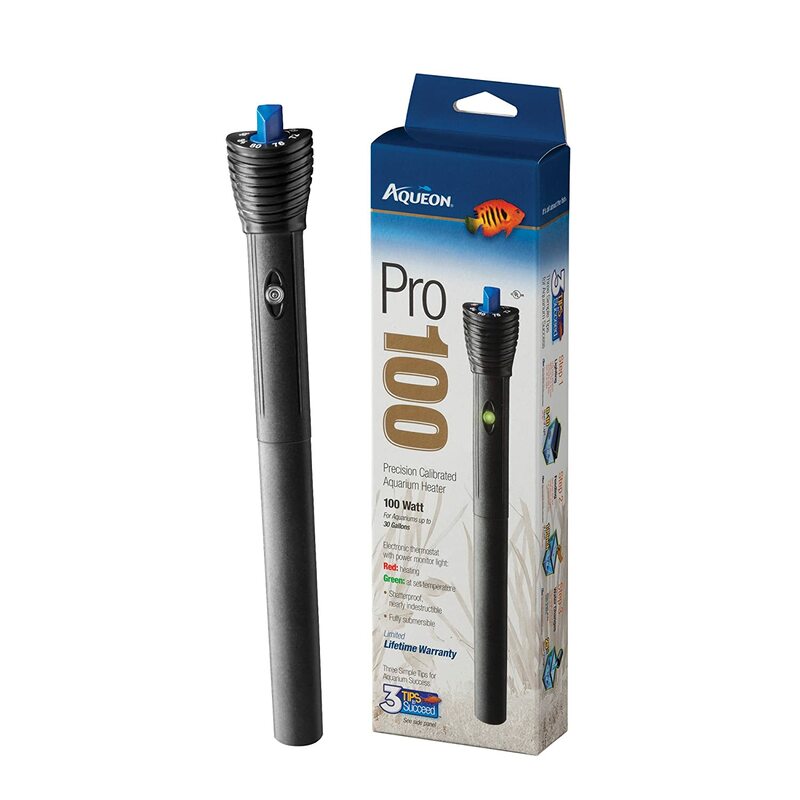 The first feature that the Aqueon Pro Heater boasts is its durability in the fish tank. Aqueon is proud to call this aquarium heater as almost indestructible and shatter-proof. 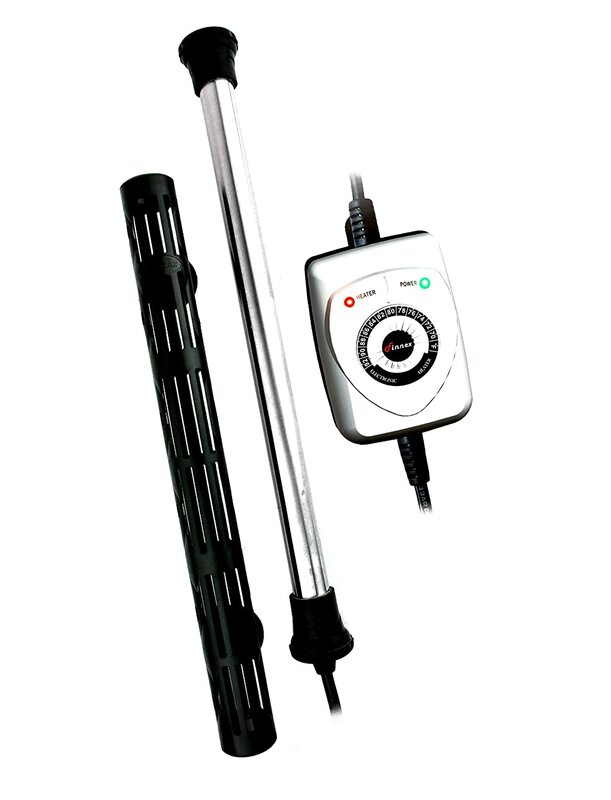 Aqueon Pro Heater also comes with a power monitor light. 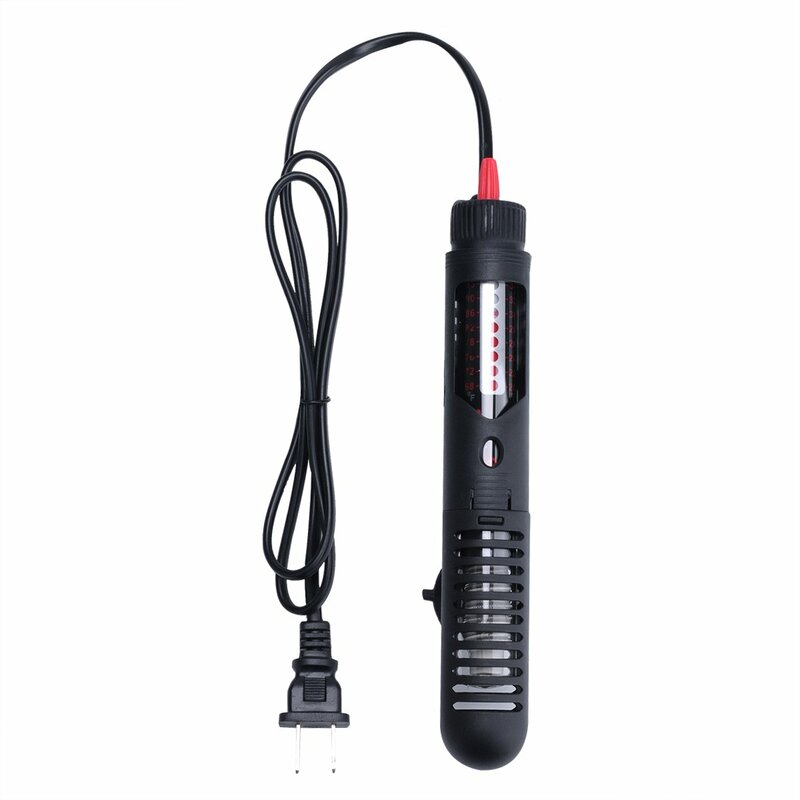 This aquarium heater runs on 50-250 watts which give you variety in what you’re buying. The first on our list is the Haze Submersible. 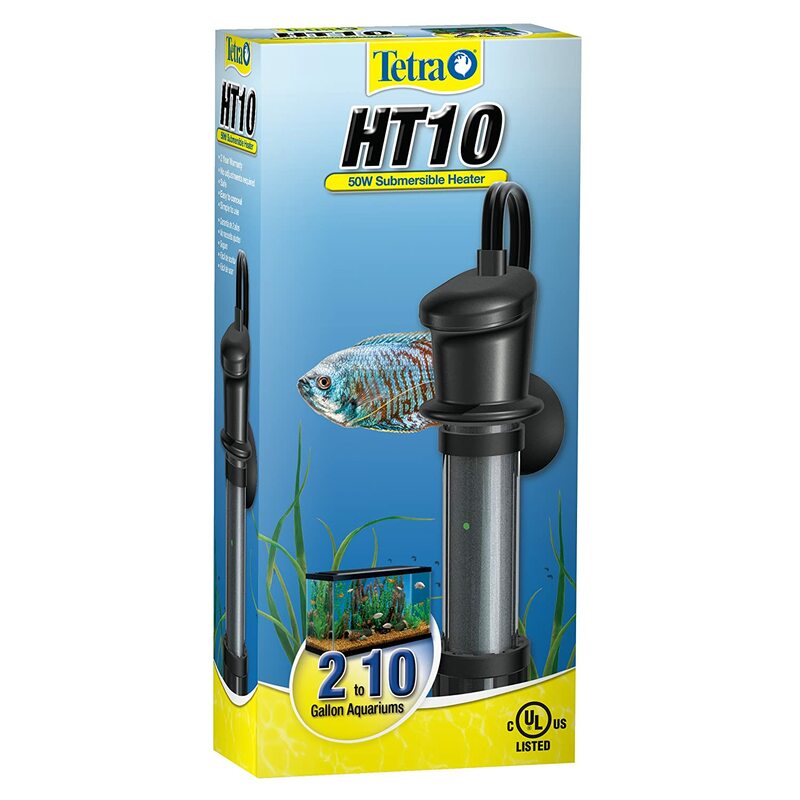 This aquarium heater has a power of 50 watts and runs on 110-120 volts and 60 hertz. This heater is waterproof and double-sealed. Mainly, it’s designed with a plastic coating that acts as a protective casing for scalds and punching. With this device, you won’t need much adjusting because it’s programmed to meet 78 degrees Fahrenheit. Usually, this is ideal for most aquarium fishes. Similar to the Aqueon, this lights up whenever the temperature in the tank is met or if the water is still heating. This features a mica core surrounded by mesh heating elements which enable it to have efficient heat transfer. This thermal switch shuts off the device when the expected temperature starts to exceed. With all these products reviewed, it’s safe to say that the best aquarium heater is up for grabs. But if you’re looking for a cheap, safe, and efficient product, the Aqueon 50W Pro Heater should be for you. The first product on our list doesn’t get many complaints from verified purchases. Its features are incredibly simple, but it gets the job done without much trouble. Truly, this is a simple yet highly efficient aquarium heater. If you found this article informative, give us a like, comment, and share!